Bookmark questions to create your own mini-study session or take the full, 200 question comprehensive examination at any time. 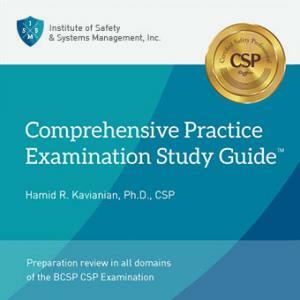 Now with740 questions developed based on the BCSP’s Examination Blueprint. A new feature allows users to resume their Q & A study session where they left off by typing the next question number in a “go to” box. And a new user interface makes this powerful self-study program easier to navigate.